Peter Rabbit Themed Cake Smash with Teddy. 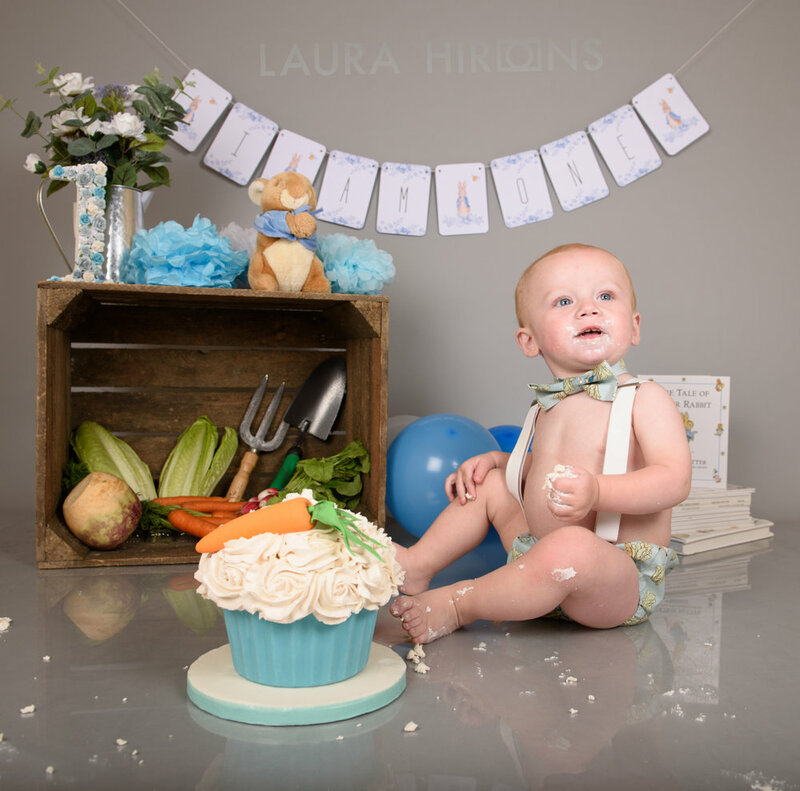 Hi everyone, today's blog post is about the lovely cake smash shoot I had with little Teddy to celebrate his first birthday! 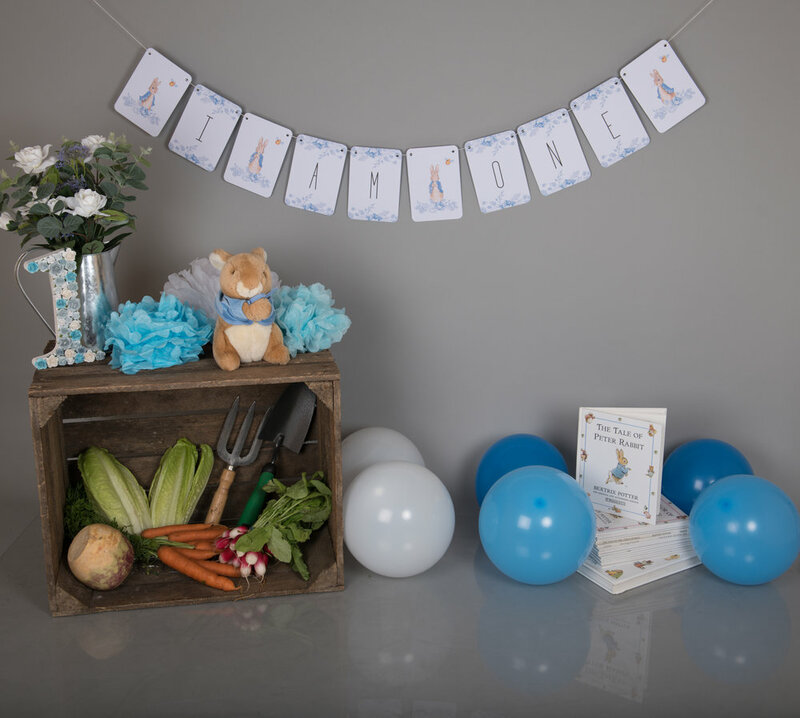 Caitlin Teddy's mum requested a Peter Rabbit inspired set up, and with a bit of planning and looking on Pinterest, and help from my friend Rose I feel we achieved it well! 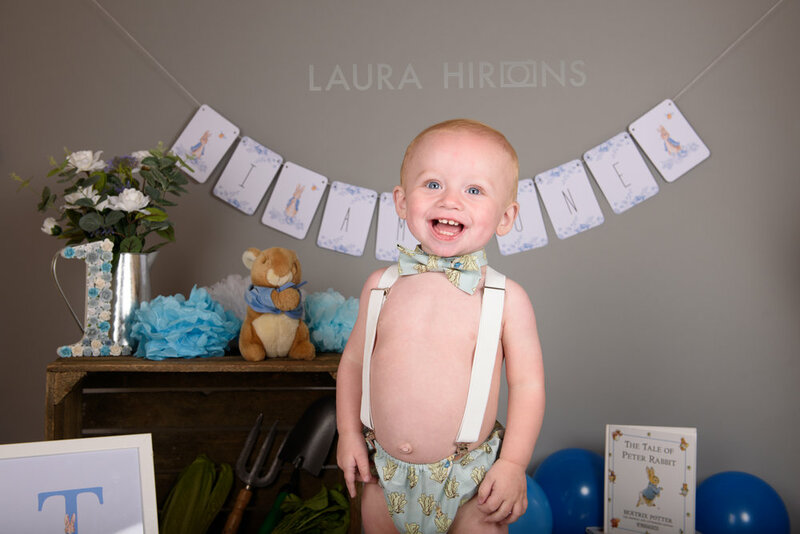 This cake smash was extra special as I got to collaborate with a few different prop vendors, the beautiful blue, grey and cream floral one was from the lovely @Simplylovelythings.co.uk , the outfit Teddy was wearing was from @cakesmashprops , the cute bunting was from @littlehometreats , the cake topper @chibichidesigns and the fantastic cake as always was from my talented cake maker/long term friend @smegscupcakes. Working with other prop vendors and talented people gives me a fantastic feeling as we are both then supporting each other on our business journey's and how can you beat that! 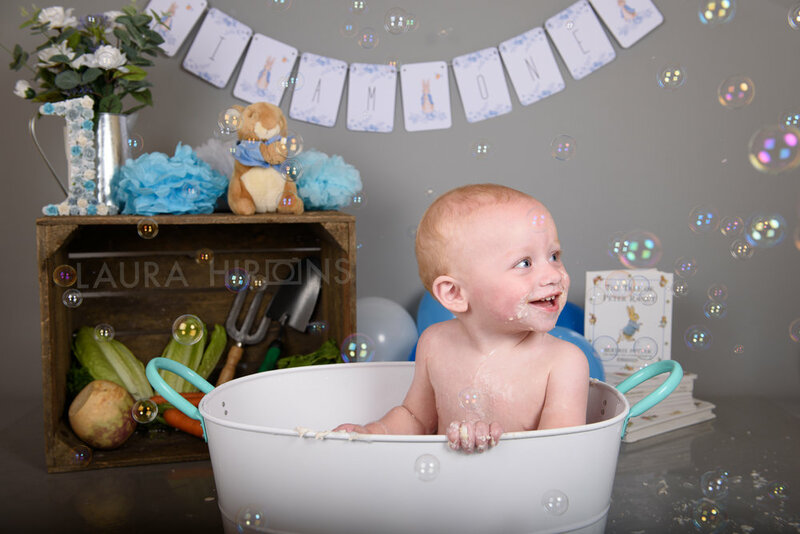 I love shooting cake smashes as they are great fun to photograph and I believe genuine fun for the child too, as the smiles aren't forced and the olnly thing that's staged is the first hand setup. Thanks for reading this weeks post if you like the look of these cake smashes, why not get in touch and book in today as they are certainly very popular!